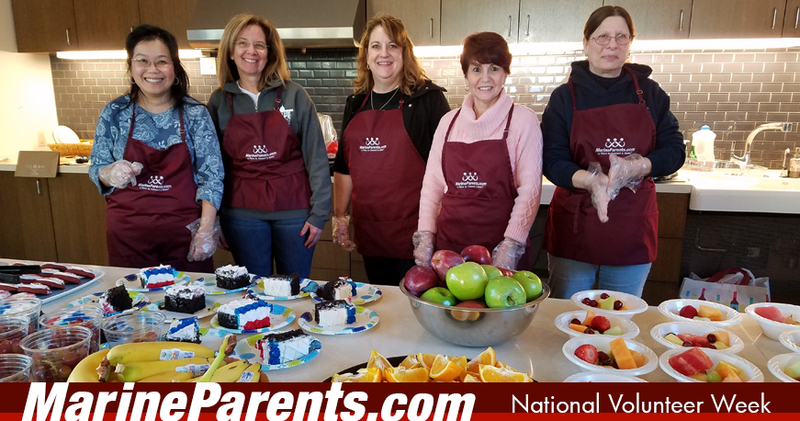 MarineParents.com volunteers were very dedicated to our outreach programs and services in 2016. Between all volunteers, there were 42,876.75 volunteer hours recorded last year. That averages out to 824.55 hours per week, which totals out to 21 full time employees. There were 37,134 volunteer hours in Official MarineParents.com Facebook Groups, 4,929.5 hours from our outreach program, Warrior Support Team (WST), as well as 813.25 local volunteer hours at the Marine Parents Corporate Office. In 2016, MarineParents had 58 volunteers with the Warrior Support Team, 153 volunteers on Facebook, and 94 local volunteers.